Graffiti is inherently anti-authority. It wages a midnight war on private property and mainstream media censorship. In theory, street artists and their audiences exist on completely separate chronotopal planes; the viewer walks on a Vasilievskii Ostrov backstreet, observes the stenciled sentiment (whether consciously or sub-consciously), and processes the symbol’s message according to the viewer’s own contextual understanding. Rarely, if ever, do the temporal and spatial existences of the viewer and artist collide. And yet, this collision is the precise intention of a Legal Festival. Baby King. 5 Pointz Aerosol Art Center. January 2011. Long Island City, Queens, New York. (Photo: Alexis Zimberg). 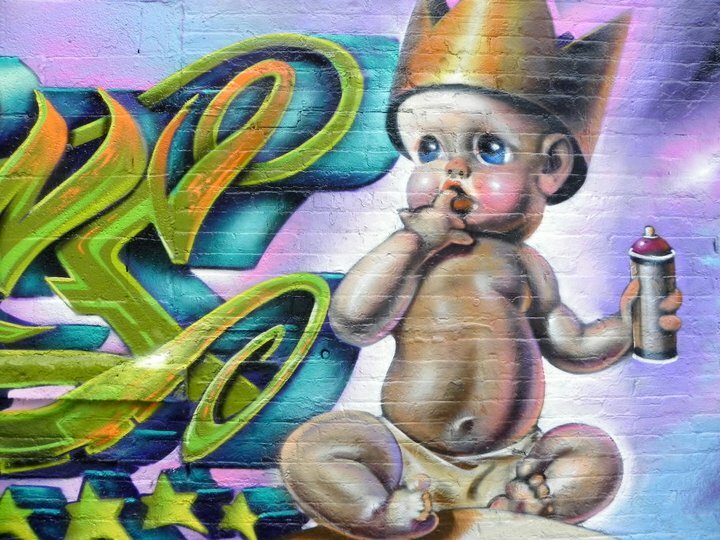 In the case of Saint Petersburg’s GraffFest and New York City’s 5Pointz Aerosol Art Center, these legal collections of street art are allowed and even supported by the state. Legal festivals are also sponsored by local businesses, schools, and communities with seemingly wholesome intentions – to beautify a neighbourhood, to bridge the gap between nuclear families and the underworld art scene, to deter youths from engaging in illegal graffiti practice, and to bring communities together in the name of shared experience. 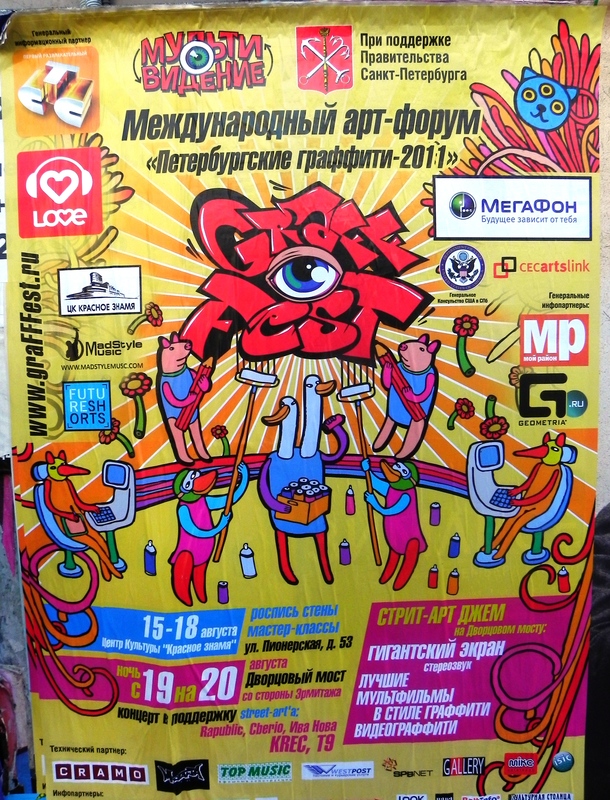 We met with GraffFest’s organizing team at a trendy Saint Petersburg cafe in August of 2011. The government’s idea of young and hip, this group of self-defined street artists were mostly in their mid–to-late-twenties. These leaders of the hierarchically-organized operation treated their responsibilities with absolute seriousness. At the time of our interview, the six-day series of events was only a week away. 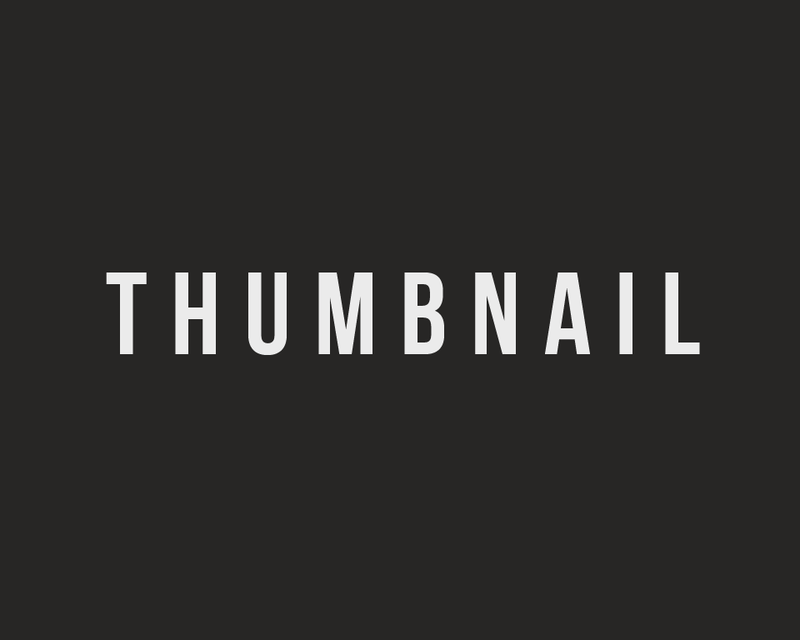 Over excel files and website platforms, the festival’s director showed us some examples of artists who had been accepted to participate in the festival. Flosy Graffiti Artist. GraffFest. August 2011. Saint Petersburg, Russia. 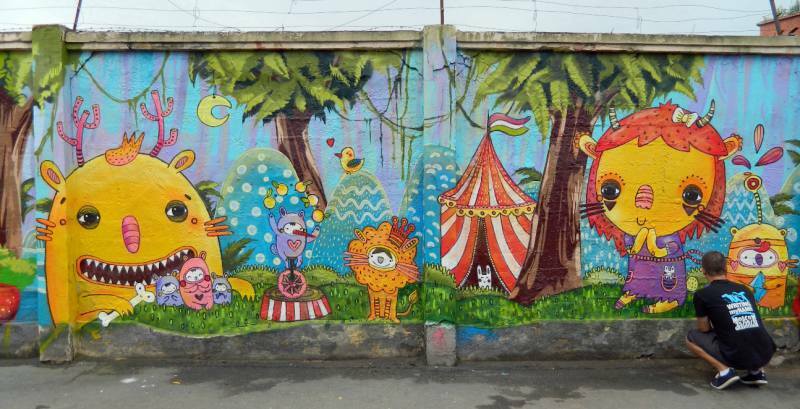 (Photo: GraffFest.ru). Proposed murals with political, social, or religious sentiment would not be chosen, therefore robbing the artform of its ability to offer genuine critique in a heavily censored society. The festival’s set location and official time frame melded a state-sanctioned temporal-spatial reality with that of the underground art world. This is my general grievance with the legal festival – it co-opts the practice of street art, whitewashes it with mainstream ideology, and produces a final product of sterilized self-censorship and public performance. Poster for a Legal Festival. August 2011. Saint Petersburg, Russia. (Photo: Alexis Zimberg). “As part of the ‘reset‘ in relations between the United States and Russia, the U.S. Embassy in Moscow has launched an ambitious, year-long cultural program entitled American Seasons. The name American Seasons is homage to Sergei Diaghilev and his efforts at the beginning of the last century to introduce Russian culture to Europe. American Seasons is designed to bring a similarly wide spectrum of cultural offerings to the Russian public in order to introduce them to contemporary artists from the United States. The program started with a tour by a troupe whose name has become synonymous with contemporary American dance, the Alvin Ailey American Dance Theater and will run through the Spring with performances of the Chicago Symphony Orchestra in April 2012. Aside from my bias that legal festivals theoretically delegitimize the authenticity of the medium, especially in a post-Soviet context, I love Evan Roth’s work with the Graffiti Research Lab. 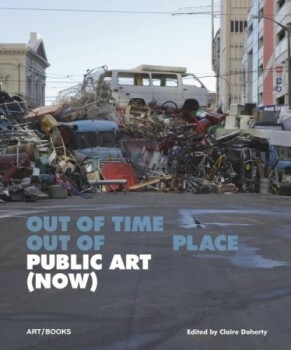 Roth and co-founder James Powderly developed the Graffiti Research Lab, as an art group designed to provide support to graffiti artists, protesters, and activists. The project seeks to make the medium of graffiti – as an avenue of communication – open to all those who might be interested in free expression. Seems like the State Department – always one step ahead – made an excellent choice. The only problem if there are lots of sretet arts being drawn on buildings is, people would vandalize and they will not be caught by it. However, I just appreciate the artists who makes this kind graffiti artwork on the sretet.